R&M has conducted an exclusive meet up for Chennai SI partners in Bengaluru. R&M invited its over 40 key SI partners associated with various verticals like government, BFSI, IT/ITeS, hospitals and hospitalities, etc. The focus of the two-day meet was to exchange thoughts, ideas, challenges and opportunities in the market. The partner meet also included a visit to R&M’s recently inaugurated production facility and customer experience centre. Partners leveraged the opportunity to interact directly with senior level management of R&M and shared the feedback and requirements of customers. The meet was followed by certifying the partners and relationship building activities. 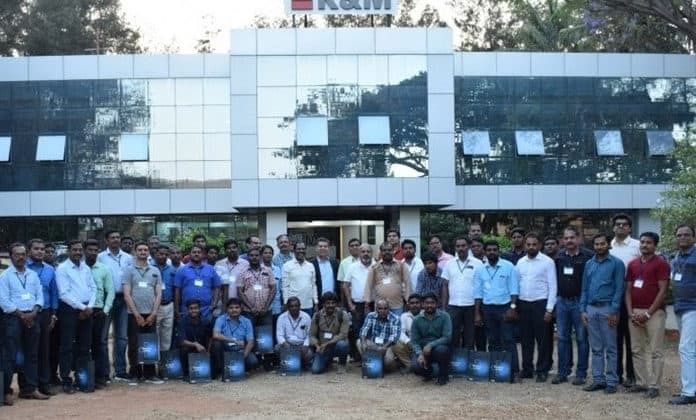 R&M hosts SI partner meet for Chennai region 0 out of 5 based on 0 ratings. 0 user reviews.